This webinar will highlight the process by which these organizations came together to collaborate and the ways that regional collaboration strengthens and improves environmental sustainability initiatives for all involved. Sustainability is a team effort, and often this topic cuts across competitive landscapes. Come learn how the region that hosted CleanMed 2017 has achieved tremendous results through a regional connection called the Healthcare Environmental Awareness and Resource Reduction Team Midwest (HEARRT Midwest). HEARRT Midwest is comprised of healthcare representatives, vendors, local/state agencies, and the Minnesota Hospital Association. It connects Midwest-based healthcare professionals to encourage and support sustainability actions that improve environmental and community health and, reduce costs. The HEARRT Midwest steering committee organizations (CentraCare, Fairview Health Services, Hennepin County Medical Center, HealthPartners, Mayo Clinic, Ridgeview Medical Center, Minneapolis Veterans Administration Healthcare System, MN Hospital Association, MN Technical Assistance Program and Zimmer Environmental Improvement) have shown leadership in healthcare sustainability, winning accolades, awards and increased visibility for their work. These leading organizations have achieved their success in part due to collaboration and sharing of best practices. This webinar will highlight the process by which these organizations came together to collaborate and the ways that regional collaboration strengthens and improves environmental sustainability initiatives for all involved. Discover how regional healthcare organizations are collaborating to encourage and support sustainability actions in health care that improve the health of the community. Explore the process of how the HEARRT Midwest steering committee organizations formed a voluntary confederation of leading regional health care sustainability professionals, including creation of guiding principles and financial guidelines. Realize the strategies that HEARRT Midwest employs including offering educational seminars, networking opportunities and access to additional educational resources. Learn the successes and challenges of the HEARRT Midwest collaboration including educational seminar survey results, attendance measures and financial support. A Practice Greenhealth Account is required for access to all Practice Greenhealth webinars. Account Privileges are determined by the individual's employer organization's membership status. HEARRT Members with Member-Level Practice Greenhealth Accounts bypass the $79 fee automatically. HEARRT Members with standard Practice Greenhealth Accounts: Email Peggy Rademaker to obtain the Discount Code. Please place HEARRT in the subject line. HEARRT Members without a Practice Greenhealth Account: Complete our Account Request Form. Please identify yourself as a HEARRT Member. 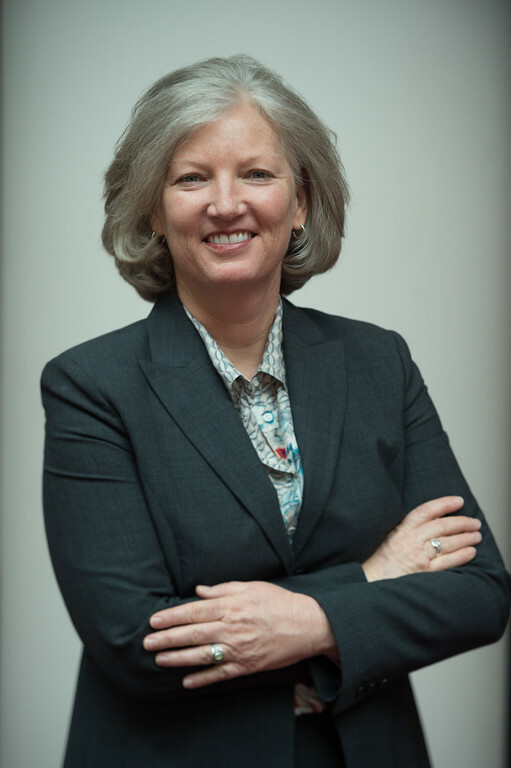 Dana A. Slade, CHMM, is the Director of Sustainability Programs for HealthPartners. In this role, Mr. Slade is responsible for leading HealthPartners' comprehensive set of sustainability programs. He also is responsible for facilitating the enterprise sustainability steering committee and is a member and co-leader of the organization's green teams and sustainability working groups. Prior to joining HealthPartners, Mr. Slade worked in the environmental and compliance management field for over 20 years, primarily in the energy sector. He has extensive experience in regulatory negotiations and is very well versed in leading teams to accomplish diverse goals. Mr. Slade graduated with a Master's of Science degree in environmental science from the State University of New York College of Environmental Science and Forestry in 1992. He also holds a Bachelor of Arts degree in medical microbiology from the University of New Hampshire. He is a Certified Hazardous Materials Manager (CHMM) and is a very active leader in local, regional and national sustainability practitioner groups. Dustin Maddy is the Sustainability Specialist for CentraCare Health. He manages CentraCare health’s sustainability program, which includes energy conservation, waste reduction, pollution prevention, and anything else he can think of that falls under the sustainability umbrella. Dustin came to CentraCare in 2012 after working six years in code enforcement. He really enjoys navigating the intricacies of the health system, with the constant goal of reducing the ecological footprint of its operations. Some of Dustin’s favorite things to do at work are upgrading lighting systems, saving money, and keeping employees happy with their workspaces. When not at work, he spends most of his time with his wife trying to keep up with his young children. Zimmer Environmental Improvement, LLC (ZEn) is a consulting firm with 15 years’ experience in healthcare sustainability. 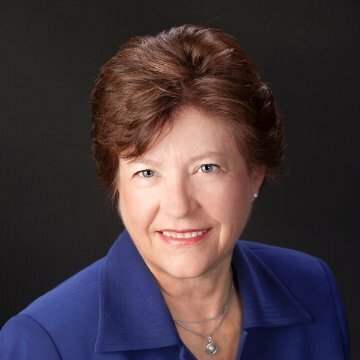 Its principal, Catherine Zimmer is familiar with operations in clinical areas such as the laboratory, patient care, pharmacy and surgery, and non-clinical areas such as environmental services and facilities maintenance. As a former hazardous waste inspector, she is familiar with environmental compliance especially as it relates to healthcare. Catherine has assisted numerous healthcare facilities with environmental improvement and cost savings using lean strategies and resource optimization that include improved inventory management and product substitution. Examples include the reduction of infectious waste at a small Minnesota hospital, saving $80,000 annually and assisting with setting par levels in both large and small pharmacies, reducing hundreds of pounds of waste and saving $150,000 per year. Catherine is acquainted with infection prevention criteria, Joint Commission standards, toxicity reduction, and got her start implementing a recycling program at Douglas County Hospital in Alexandria MN. She has a M.S. in Environmental Health and B.S. in Clinical Laboratory Science. Join the Practice Greenhealth Sector Performance Team to review your integrated data package and realize the true value of your membership. Performance Reporting is where the rubber hits the road when it comes to Practice Greenhealth membership. Knowing how to access, read, and understand your performance metrics will allow your facility or system to contextualize your data compared to the larger data set as well as set realistic goals for the future. Join the Practice Greenhealth Sector Performance Team to review your integrated data package and realize the true value of your membership. Learn how benchmarking plays an instrumental role for hospitals in how they can reduce energy consumption while selecting conservation projects that make business sense for the campus. Join Jeff Rich from Gundersen Health, who recently presented at CleanMed on the Top Ten Lessons Learned on the Path to Energy Independence and Iqbal Mian of Practice Greenhealth discuss in detail how benchmarking plays an instrumental role for hospitals in how they can reduce energy consumption while selecting conservation projects that make business sense for the campus. Learn the inputs to establishing a baseline at your facility and what metrics such as Energy Utilization Index (EUI) mean for your hospital. Move beyond the baseline with conservation strategies with targeted reduction measures. Gain insight as to how Gundersen Health established criteria for selecting energy projects and other lessons learned along the reduction journey. Jeff Rich is responsible for developing Gundersen’s Envision Program, which includes a portfolio of renewable energy projects and energy service offerings. Prior to joining Gundersen he was employed by Trane where he held a variety of Lean-Six Sigma and engineering management positions. Jeff was also employed for six years with John Deere as an industrial engineer and quality quality engineer. He holds a Bachelor of Science in Mechanical Engineering and is a certified Lean-Six Sigma Black Belt. Join Chris Bodkin, Data Coordinator for Sector Performance & Recognition and Iqbal Mian, Member Engagement Manager at Practice Greenhealth as they team up with the EPA’s Health Care Portfolio Manager staff to de-mystify the process of energy benchmarking by discussing the goals, measures and calculation details needed to move along the three levels. Don’t know your hospital’s energy utilization index (EUI) or Energy Star score? No problem. The Healthier Hospitals Leaner Energy Challenge, a program within Practice Greenhealth, has all the tools and tips to get a hospital started. Level 1 encourages facilities to establish a baseline. This crucial step empowers users to understand where their hospitals is performing in national benchmarks by guiding them through the key steps and data needed. It’s not as difficult as one may think. Level 2 continues the challenge to reduce the energy intensity by five percent from baseline with Level 3 increasing the performance to 10%. Chris Bodkin, Data Coordinator for Sector Performance & Recognition and Iqbal Mian, Member Engagement Manager at Practice Greenhealth, team up with the EPA’s EnergyStar Portfolio Manager staff to de-mystify the process of energy benchmarking by discussing the goals, measures and calculation details needed to move along the three levels. You can also use these tools to benchmark your home and discover how well it consumes energy. Become familiar with the Leaner Energy Challenge (Level 1-3) and EPA’s Portfolio Manager. Learn the inputs to establishing a baseline at your facility and what these metrics of Energy Utilization Index (EUI) and Energy Star score imply. Join us as for a conversation on how to effectively manage waste anesthesia gas. The energy and equipment needed to safely evacuate Waste Anesthesia Gas (WAG) in the Operating Room (OR) may be operating during unoccupied periods, wasting energy and wearing out equipment. Concurrently, minimizing the atmospheric exhaust of WAG is considered a key strategy in reducing a health facility’s carbon footprint. The Global Warming Potential over 100 years (GWP100) of commonly used anesthetic agents and medical gases are eye-popping: sevoflurane 130x, isoflurane 510x, and desflurane 2540x one metric equivalent of carbon dioxide (CO2), and nitrous oxide (298x) persists in the atmosphere over a much longer timeframe. In 2016, 60% of GOR Circle of Excellence award winners calculated the carbon footprint of their anesthetic gas emissions. Gather your anesthesia, perioperative, biomed, and facilities colleagues and learn about emerging technologies to reduce scavenger system demand. Gain insight from Practice Greenhealth members and their experiences implementing a dynamic gas scavenger system. Hear from clinical and technical experts from Cleveland Clinic, the University of Wisconsin and others as they discuss energy reduction strategies and alternatives to venting waste anesthesia gas to outside air. Join us and learn how you can be part of the solution! Understand the environmental impacts of anesthesia agents and medical gases used in the OR. Identify multidisciplinary partners, and gain insight into Leadership, Anesthesia Dept., Biomedical Engineering, Facilities perspectives. Evaluate emerging technologies for additional energy and WAG reduction opportunities. 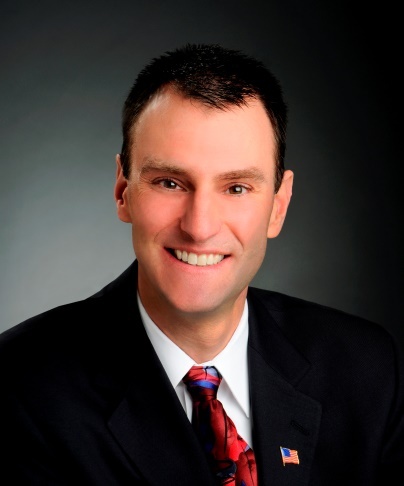 Dr. Zuegge is an Associate Professor of Anesthesiology at the University of Wisconsin - Madison. 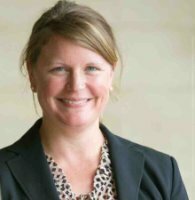 She serves as the Medical Director of Sustainability for UW Health and is the Associate Chair for Education in the Department of Anesthesiology. Dr. Zuegge is an active member of the ASA Environmental Task Force. 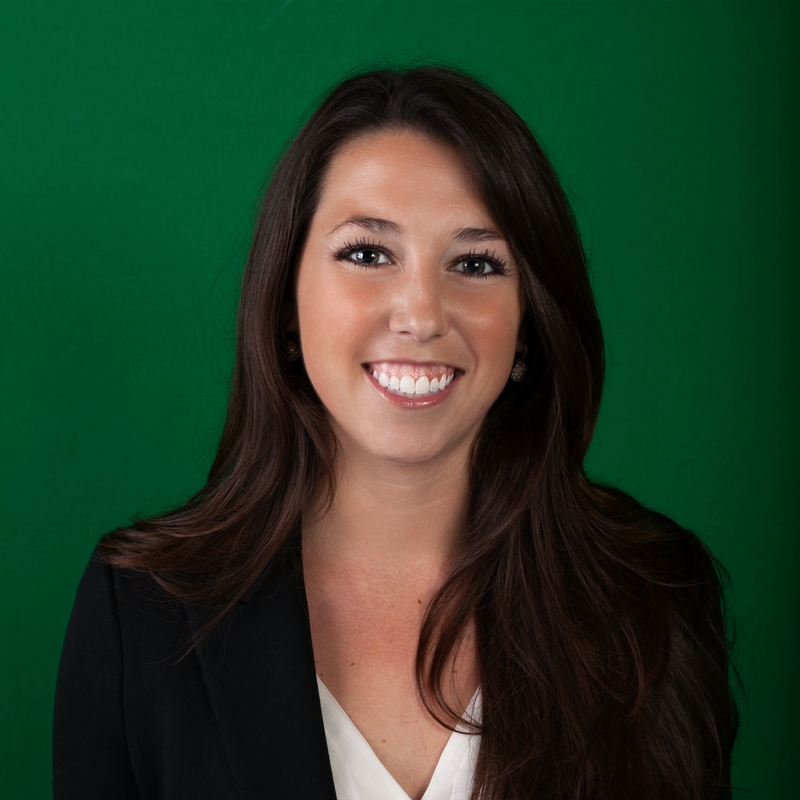 Julie joined Practice Greenhealth as an Outreach and Engagement Specialist in 2015 by way of the Healthier Hospitals Initiative, and her role in the campaign as an Outreach Specialist in 2013. A currently practicing registered nurse, she began developing her interests in health care sustainability in 2003 with the opportunity to open and manage the surgery department at the country's first LEED certified hospital in Boulder, CO, where she currently lives. She earned her BSN from Vanderbilt University and Master's degree in Nursing Administration from Duke University. She has worked in the operating rooms of Shands Hospital at the University of Florida and Duke University Medical Center in clinical and management positions. Jon E. Utech is the Senior Director of the Office for a Healthy Environment at Cleveland Clinic, where he develops sustainability strategies to emphasis connection of environmental stewardship to our healthcare mission. Jon directs the Clinic's sustainability program covering energy demand reduction, recycling, LEED, Climate Resilience, green supply chain, water reduction, engagement and Reporting. Jon manages relationships with the EPA, DOE, OHA, City of Cleveland and EIMC to support these programs. Jon earned his MBA and MPOD from Case Western Reserve University and a BA in History at Dartmouth College. Jon is also an Associate Professor at Baldwin Wallace University and CWRU teaching sustainability strategy. Jon has more than 18 years of corporate strategy and planning experience and 10 years of corporate sustainability program and renewable energy experience prior to joining Cleveland Clinic in 2013. Jonathan Uber, Chief Operating Officer, AGR, Inc.
Have you heard about the Practice Greenhealth’s “Green Employee Benefit” program? Join us for a webinar as we show you how this program can provide health systems with meaningful opportunities to engage employee’s on low cost or no cost strategies to promote climate change solutions. Discounts for purchasing and installing solar panels for their homes. Access to locally grown fruit and veggies through participation in Community Supported Agriculture (CSA) programs. “Green Retirement” options that don’t invest in fossil fuels like coal, oil, and gas. 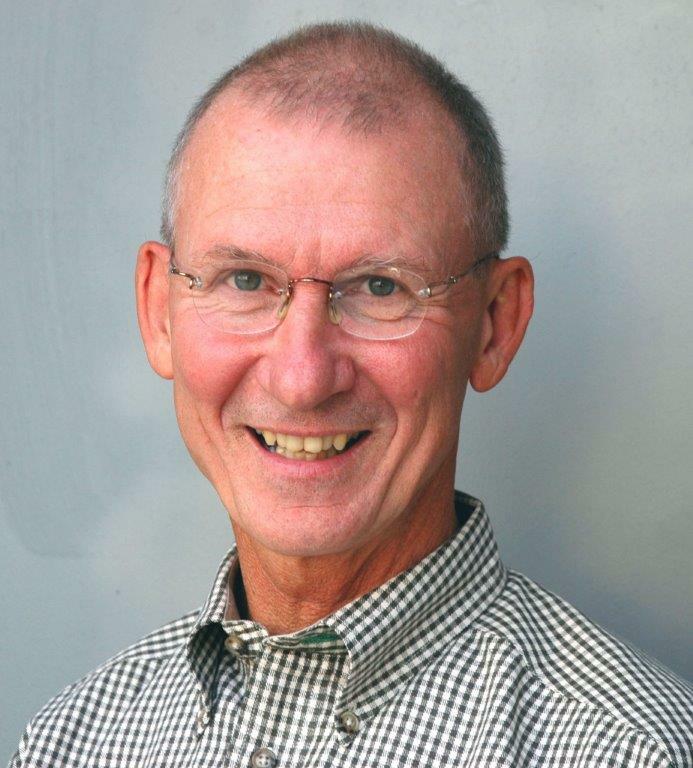 Richard has more than 40 years experience in energy and environmental related fields. His extensive background includes energy & mechanical design and applications engineering; construction and contract management and electric utility account management. He served as Providence’s Senior Energy Director for over 23 years, working with their facilities, construction directors, utility companies, and energy service providers in the western United States. Mr. Beam’s educational background is in the disciplines of mechanical engineering, communications, and business. The Association of Energy Engineers honored Richard as their 2007-08 Energy Manager of the Year for their Western United States Region. He was the 2004 Association of Professional Energy Managers State of Oregon Energy Manager of the Year. Providence was honored to receive the Environmental Protection Agency’s 2009 ENERGY STAR Partner of the Year for Sustained Excellence in Energy Management. Providence was also the 2004 and 2008 recipient of that honor. Richard served for six years on the Board of Directors of the NW Energy Efficiency Alliance and also served on the USDOE Hospital Energy Alliance Steering Committee. He currently represents Providence on the national Healthcare Climate Council. In 2015, Mr. Beam was appointed Chief Environmental Officer for the enterprise by CEO, Dr. Rod Hochman. “Richard’s new role will elevate visibility for our commitment to environmental stewardship both in communities we serve and nationally,” said Dr. Hochman. Erin supports financial advisors, coordinates sustainable investing event participation and leads special analytical projects. Prior to joining Green Century more than a decade ago, Erin performed financial analysis for an environmental consulting firm and worked at a public accounting firm. She earned her BA from Smith College and her MBA and Masters of Environmental Management from Yale University. Eric Lerner is the US Climate and Health, Associate Director for Health Care Without Harm. In his capacity as Associate Director, Eric is actively working with health systems, nurses, doctors, and community allies, to address climate change and it’s impacts on health. Prior to working with Health Care Without Harm, Eric worked in the labor movement for over 25 years, where he coordinated national campaigns to empower low wageworkers and healthcare professionals to organize for dignity, respect, and a voice on the job. Lauren Kleinman Koch is an Outreach and Engagement Specialist for Practice Greenhealth, in addition to her project management responsibilities for Healthier Hospitals, the Market Transformation Group, and working with the HCWH Climate Program to bring fresh content on climate and health to Practice Greenhealth. Prior to joining the organization, Lauren earned a dual Masters in environment and natural resources / public policy and administration from The Ohio State University while she worked at OSU Wexner Medical Center in the pharmacy department. This sharing call is a follow-up to the March 15 th sharing call and presentation at AORN 2017 in Boston. Make sure to review that presentation recording and complete the HVAC Setback Worksheet before this call. The event password is "Hcwh2017". Did you know the OR represents a significant percentage of a health care facility’s energy budget? Are you and your team interested in strategies to reduce the energy footprint of the OR? Implementing an HVAC setback program in ORs when they are unoccupied can save an average $3,200+ per OR per year, and yet only 32 percent of Practice Greenhealth award winners had an HVAC setback program in place in 2015. Bring your team – Facilities, Infection Prevention and Surgical Services, Engineering, Clinical and Sustainability – and join the speakers from the first part of this series as we zero in on air exchange rates in the operating room during unoccupied modes. Have your questions, challenges, and strategies for success ready for a lively discussion. We’ll touch on the original learning objectives from Part 1, however this call is intended to be a facilitated discussion where we look at the Energy Efficiency in the OR Worksheet and discuss common challenges, questions, strategies and future directions. Bring your team, be ready to participate! Identify the benefits of energy reduction initiatives on cost, safety, and ecological health. Zero in on the A in HVAC: Understanding airflow codes and standards. Explore various processes for transitioning air exchange rates from minimal to operational conditions. Address concern of key stakeholders with a collaborative, multidisciplinary approach. As the Vice President and Principal at Grumman/Butkus Associates, John Villani is responsible for the standardization, management oversight, and execution of the firm's commissioning projects. Project responsibilities include conducting all phases on commissioning design through turnover with numerous clients. John is a licensed professional engineer in several states, a LEED Accredited Professional, a Certified Commissioning Provider and a Certified Energy Manager. He has been active with ASHRAE, the Association of Energy Engineers, and the Building Commissioning Association, and is currently the Director at Large on the BCxA International Board of Directors. Fellow of the American Academy of Nursing. Responsible for providing professional expertise regarding perioperative nursing practice to the Board of Directors, AORN national committees, headquarters staff, members, specialty assemblies, and other health care organizations (eg, standard setting/regulatory bodies, accreditation agencies, and professional associations). Represent AORN in major health care policy and accreditation activities related to perioperative standards, recommended practices, and guidelines. Liaison to AAMI Sterilization Standards Committee, Co-Chair ST79 work group. AAMI/ANSI appointed U.S. expert for ISO/TC 198/WG. Liaison to Facilities Guidelines Institute Healthcare Guidelines Revision Committee, Steering Committee.